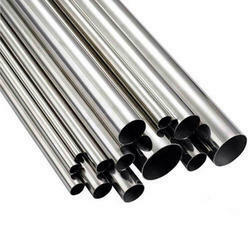 Aluminium Round Tube is a very versatile product. There is the usual strength/weight ratio strong point common to all our aluminium products along with its inherent resistance to corrosion. As well as the usual engineering applications, other examples of its use are telescope making, garden products, art work and mole-catching. Yes mole-catching. One of our customers makes his mole catching equipment using thin 6mm tube. Holy Moley. Mill finish. This is an 'unfinished' product, which means there has been no post-manufacturing surface treatment and is simply the bare metal. You may find some light scratching caused by general warehousing and transport but there should be no deep gouges or deformation. If aesthetics is important in your end application, you may want to consider a finishing process such as painting, polishing or anodising. 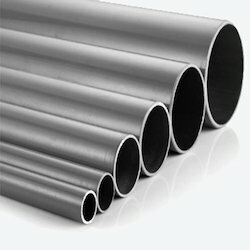 Our firm has been continuous gaining appreciation as the prime organization offering of Aluminum Pipes. At our vendors’ end, these pipes are manufactured using quality alloys and advanced technology. In addition, these pipes are also manufactured using advanced machineries and technologies. The offered pipes are made from the high grade aluminum alloy pipes for various industrial requirements. In fact, the pipes can be made available in various shaped and sizes on clients’ demands. Enriched by our industry experience we offer a wide range of Aluminium Pipes. These are extensively used in industries like pharmaceutical, chemical, food, agriculture and many more industries. Our range is offered in different weight, size, thickness and dimensions in standard technical specifications, that ensures durability and wear & tear resistance durable finish, high temperature. The main features of this product include precise dimensions, resistant to heat, corrosion resistant, excellent metallurgical properties and superb strength.